Etac Beauty products are a light weight range of ergonomically designed body care products, which are all carefully balanced to provide maximum power with minimal effort and strain on hands, arms and shoulders. Each product has a unique shape that makes reaching even easier. 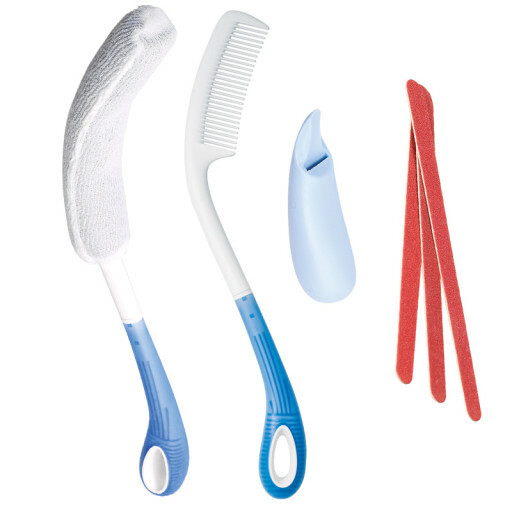 The Etac Beauty Kit comprises one Body Washer, one Long Comb and one Multipurpose Grip with three nail files.